Internet Explorer is Missing Color? 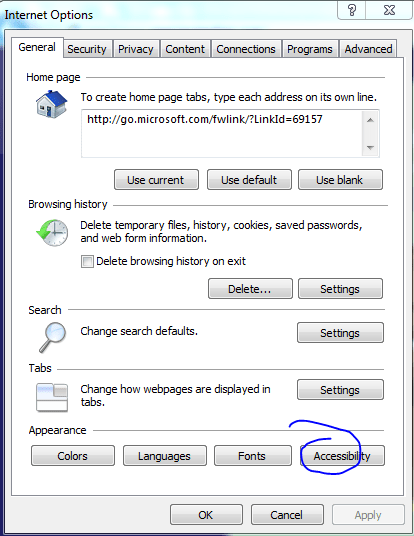 You can fix the Internet Explorer Black White Bug by following these steps. Step 1: Press Alt and then select Tools > Internet Options. 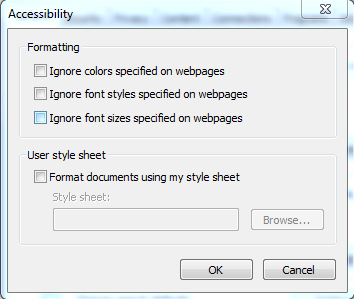 Step 2 is to Click on Accessibility on the bottom right. Step 3 is to make sure that EVERYTHING is unchecked. If you follow these options and the problem still isn’t solved, then I recommend you ditch internet explorer and use a browser that is guaranteed not to have a color bug… a browser like Google Chrome will do.